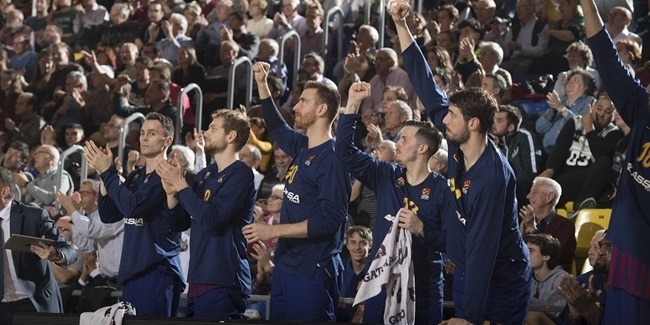 Three weeks ago, FC Barcelona Lassa was on a four-game losing streak in the middle of a double-round week, with a 6-7 record, having to face KIROLBET Baskonia Vitoria-Gasteiz at Fernando Buesa Arena. 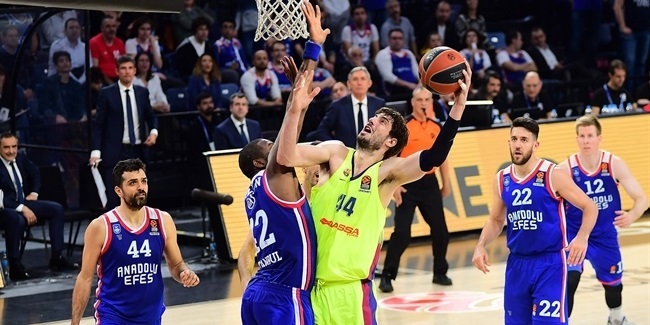 Things have changed dramatically for Coach Svetislav Pesic's team from then until now, which marks the middle of the next double-round week on the schedule. In fact, it is exactly the opposite situation: Barcelona is on a four-game winning streak, ranks sixth in the standings with a 10-7 record, one victory away from the fourth spot and two wins over the playoffs cut. The team has found its identity and hopes to keep its momentum going in Friday's home game against Panathinaikos OPAP Athens. Against AX Armani Exchange Olimpia Milan on Wednesday, Barcelona took extra care of the ball and that made the difference down the stretch. Barcelona limited its turnovers to just 8, the team's second-best mark this season, and collected 6 steals. On the other hand, Milan only had 2 steals, a new season-low, and picked up 12 turnovers. Barcelona shot with better percentages from all distances and scored 25 two-point shots to Milan's 18. Bench players made the difference, too. Milan only got 16 points off the bench. On the other hand, Barcelona had 47. Thomas Heurtel, who is showcasing his best basketball in recent weeks, had 21 of them and Kevin Seraphin added 16, as many as Milan star center Arturas Gudaitis. The good news for Barcelona is that two of the players who have big battles against injuries not only are back in action, but playing well. Pau Ribas had a really solid game, scoring 11 points and dishing 6 assists in 32 minutes. Adam Hanga had 15 points, 5 rebounds and 3 steals for a PIR of 20, but it was his quickness, intensity and overall activity which showed his injuries are way behind him. More good news: Barcelona will play 8 if its last 13 games at home, so it will basically qualify to the playoffs and have a shot at getting home-court advantage there if it's able to hold serve on its own court. 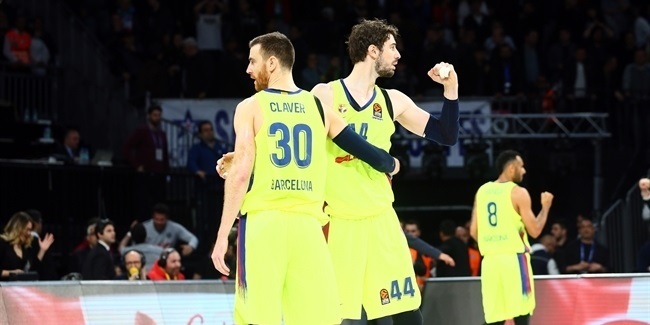 Barcelona fans have plenty of reasons to look forward to what remains of the EuroLeague season.